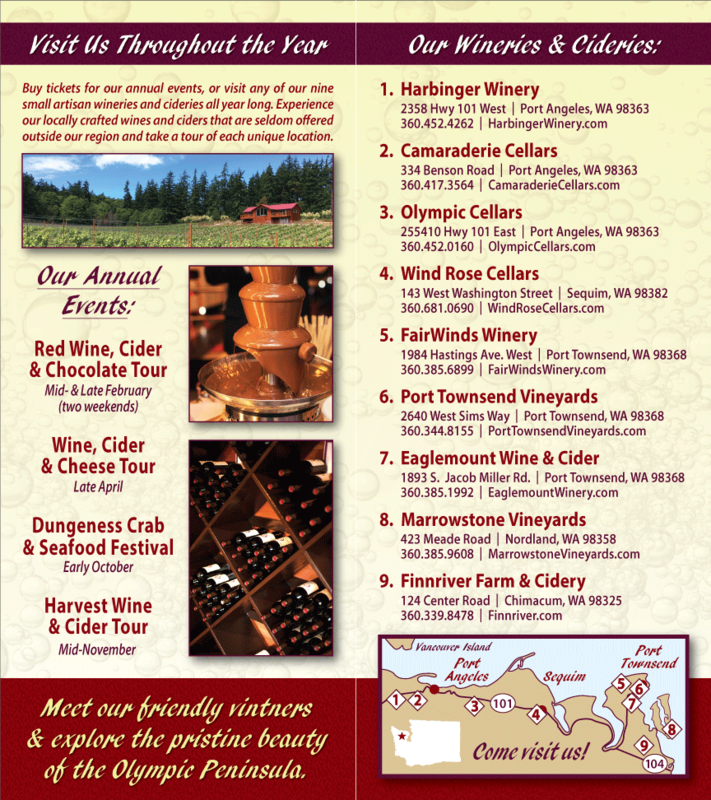 Olympic Peninsula Wineries - visit 9 award winning wineries and cideries! Olympic Peninsula Wineries is a collaboration of nine award winning wineries and cideries located in Sequim, Port Angeles, Chimacum, Nordland, and Port Townsend on Washington State’s beautiful Olympic Peninsula. 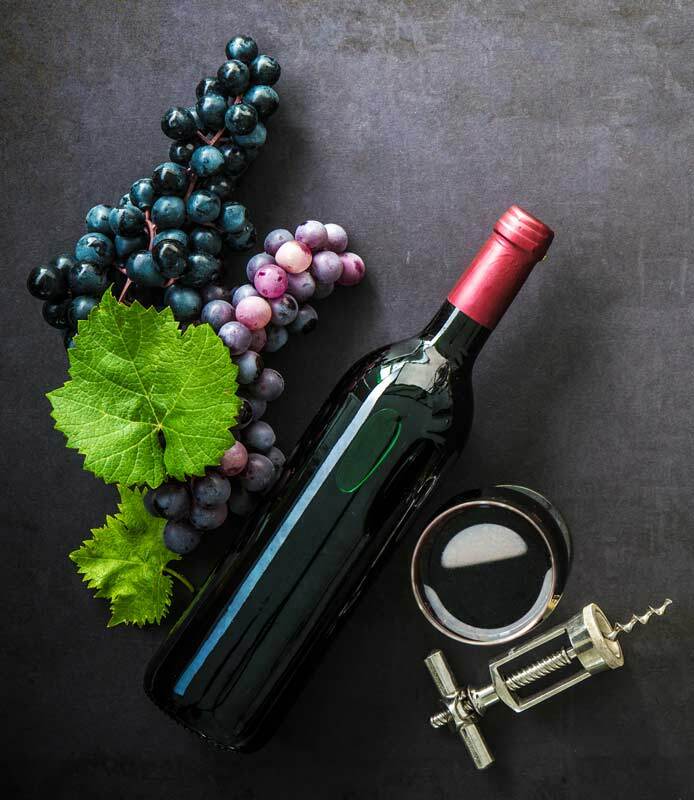 Our wine trail is one be envied with each location offering a unique and diverse variety of wine & cider, paired lovingly with local, season delights! The Olympic Peninsula Wineries are a group of hands-on owners/winemakers committed to handcrafting excellent, award-winning Washington wines. 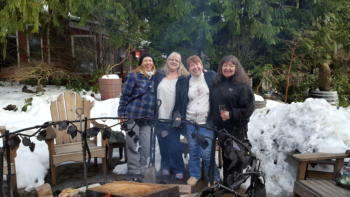 Each of our Olympic Peninsula Wineries offer visitors friendly hospitality and a unique, memorable experiences. Owners/winemakers are often available to personally pour for the visitors in their tasting rooms and to answer questions. Many of our Olympic Peninsula Wineries members utilize grapes from eastern Washington’s great vineyards while others harvest their own fruit grown on this side of the mountains. In either case, these Washington wines are made using classic methods that produce the perfect complement to a meal — be it a picnic on the winery grounds or the most elegant of candlelight dinners. Our next event is the 2019 Wine, Cider and Cheese tour. Click here for more information!